We liked this seasoned mayo so much on our Spicy Chicken Sandwiches that I thought I’d write it up on its own recipe. It’s basically a slaw recipe and/or condiment and I can see myself mixing a little up for all kinds of things. I didn’t use chives this time just because I don’t have any on hand. Next time – when I can snip them from my garden. This entry was posted in Click here for Fabulous Food Posts and tagged Condiments, Frugal Hausfrau, Mayonnaise, Seasoned Mayonnaise. Bookmark the permalink. I’ve never made seasoned or spicy mayonnaise at home, but you have here a great recipe! Or to dip veggies, in, too, I think! Thanks Winnie! 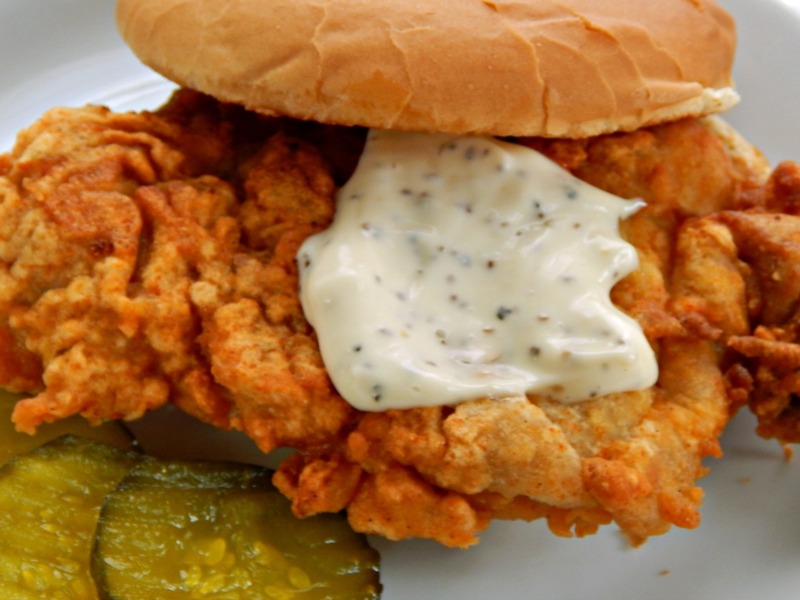 Oh man, this is a great mayo recipe but I can’t wait to hop over to that chicken sandwich recipe, the photo is making me drool, lol! I never thought to season my mayo like this before – maybe it’s a Southern thing, lol! Yummy! I didn’t think mayo could get any better!! That’s sounds like a good combo! I think I’ll add a little cayenne next time, tho.